This year, the holidays follow a season loss – of the comfort of shelter, neighborhoods, routines, and so much more. That shock to our collective system was followed immediately by a manifestation of the true character of our community. Kindness became our defining characteristic with pervasiveness and urgency. Thank you is not enough. The Creative Sonoma Recovery Fund was established to collect and distribute relief funds to serve the immediate needs of our community in response to the 2017 Wildfires. In June 2014, Creative Sonoma was established by a vote of the Sonoma County Board of Supervisors and given a three year runway to get established. 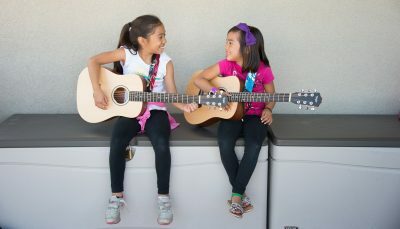 Creative Sonoma recently completed its second year of the Next Level Music program. Designed to help support and advance the remarkable community of professional musicians in Sonoma County, Next Level has two components: professional development and funding resources. Creative Sonoma is very proud to have significantly expanded our grant making portfolio this year. Over the past 2 months, we have awarded $184,000 to 28 recipients for creative projects through our Arts Education Innovation, Pop-Up Creativity, and Summer Arts Youth Program Grants. New to the Next Level Music Industry Conference in 2017 was an opportunity for musicians to submit demos to compete for spots in Pre-Conference sessions on Recording and Songwriting. From nearly thirty submissions to the Recording session, Jimmy Cramer was chosen to record his song, "Make It Right." This year marks the 10th anniversary of the “Discovered: Emerging Visual Artists of Sonoma County” program, conceived and funded by Community Foundation Sonoma County. Students from across the county participated in writing and art making sessions, created murals with pelon and mosaic tiles, crafted clay dishes on which a feast was served, and learned instruments for the first time from violins and guitars to mariachi trumpets.